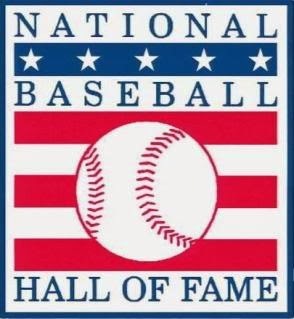 Unlike 2013, it's almost a guarantee that someone is getting into the National Baseball Hall of Fame this year. The likely names that could get the call to Cooperstown include Greg Maddux, Tom Glavine and Frank Thomas. Those likely to remain on the outside looking in include the greatest home run hitter of all-time, Barry Bonds and arguably the best right-handed pitcher of his or any other generation, Roger Clemens. We won't even mention Pete Rose. We could argue forever about who deserves a Hall of Fame jacket, but those conversations usually end up going nowhere after many hours and many more beers. Which is why I don't get a Hall of Fame vote, and, really, I don't think reporters should be deciding these things in the first place. For every well informed voter like a Gordon Edes there is some writer with an axe to grind or an aggressive disinterest in logical reasoning like Murray Chass. But I digress. With the results to be announced on the MLB Network this Wednesday at 2 p.m. ET, let's run down five players that spent a good portion of their careers with the Red Sox that deserve to be in Cooperstown. 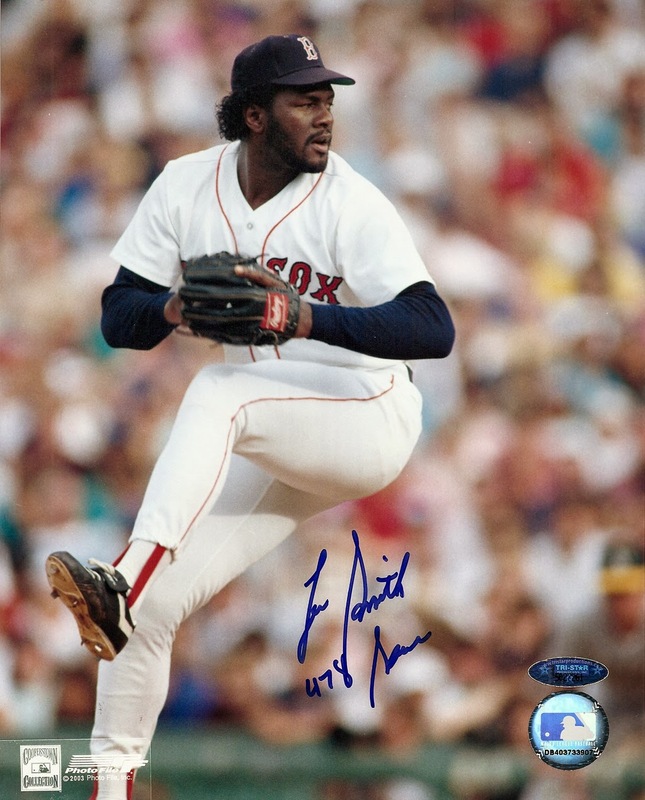 Lee Smith spent parts of three seasons with the Sox, and retired as the MLB record holder for career saves with 478, until Trevor Hoffman and Mariano Rivera passed him. The closest active pitcher to Smith in saves is Joe Nathan, and he's 137 saves back. Smith helped the Red Sox to the 1988 AL East title by saving 29 games. Big Lee went 6-1 with 25 saves in 1989 before being traded early the following season to the Cardinals for Tom Brunansky. 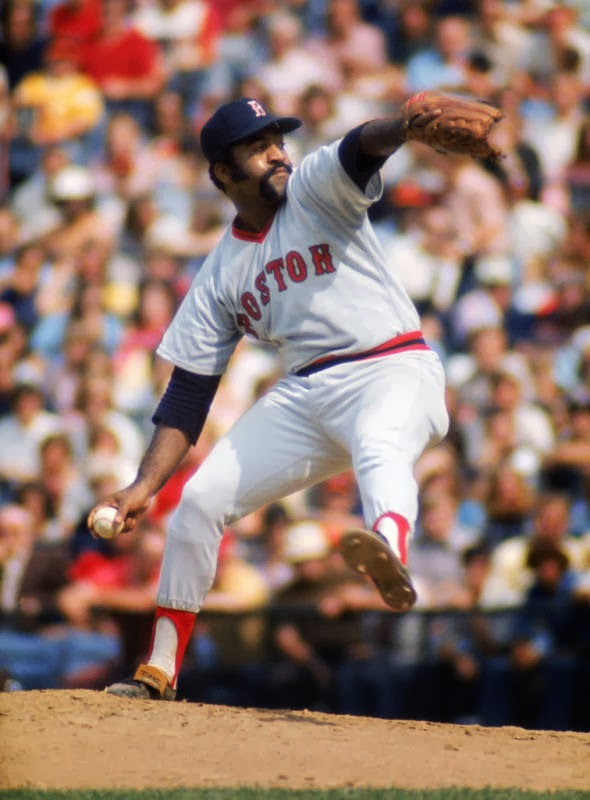 Although Luis Tiant was only a three-time All-Star, the former Red Sox pitcher went 229-172, with 187 complete games, 49 shutouts and a career ERA of just 3.30. In 1975, Tiant won 18 games, defeated the three-time world champion Oakland A's with a three-hit shutout then beat the Big Red Machine twice in the World Series. Tiant is no longer on the ballot, but should have been inducted into the Hall of Fame when he was eligible from 1988 to 2002. 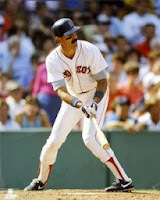 Right fielder Dwight Evans hit 385 home runs (49th all-time), 1384 RBI (84th all-time) and totaled 2446 hits (94th all-time). Dewey was an eight-time Gold Glove Award winner, three-time All-Star, earned the Silver Slugger Award in 1981 and 1987, and had four Top-10 finishes in AL MVP Award. Evans was dropped from the Baseball Hall of Fame ballot when he did not receive the minimum five percent of votes in his third year of eligibility. Based on his win shares metric, baseball stat man Bill James has argued that Evans belongs with his outfield teammate Jim Rice in Cooperstown. Curt Schilling was originally drafted by the Sox then traded for Mike Boddicker in 1988. 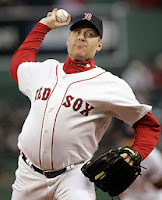 Of course, Schilling would return and his bloody sock game in 2004 is the stuff of baseball legend. Schill went 216-146 with a 3.46 ERA and 127 ERA+ in 3,261 innings. The six-time All-Star ended his career with 3,116 strikeouts, and three times he struck out 300 or more batters in a season. As far as his postseason goes, there are few that compare. 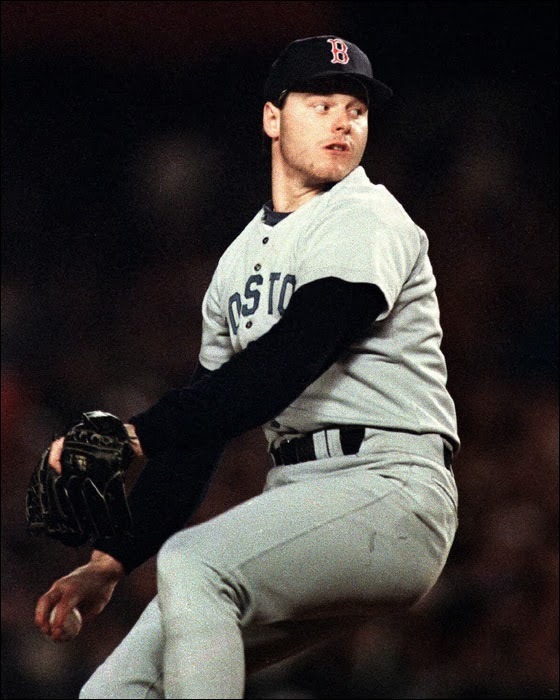 In 19 postseason starts, Schilling went 11-2 record in 133 1/3 innings, had a 2.23 ERA with 120 strikeouts, only 25 walks and owns three World Series rings - two with the Red Sox. Steroid cloud or no steroid cloud, Roger Clemens was simply one of the greatest pitchers in the history of the game. He won 354 games, had a career ERA of 3.12 and struck out 4,672 batters, the third-most all time. The Rocket was an 11-time All-Star, an MVP, won two pitching triple crowns and won a record seven Cy Young Awards. Clemens also struck out a record 20-batters in a single game - twice. Clemens may not be a Fenway favorite with the PED suspicions and the years in pinstripes pitching the Yankees to a couple World Series titles, but the numbers don't lie. However, Clemens will not be getting the call into the Hall anytime soon.